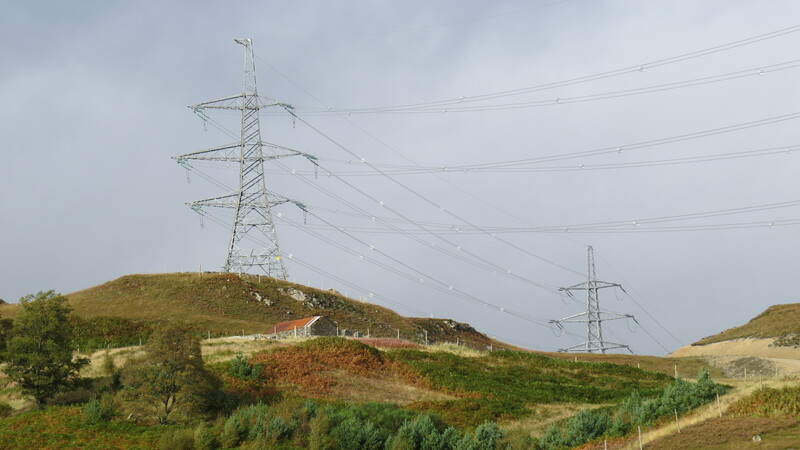 The electricity grid was initially set up to distribute electricity from large fossil fuel power plants to cities, towns, villages, ending at single houses at the head of remote glens (Figure 1). Electricity transmission cables diminished in capacity the further they are from the generating station. With the introduction of renewable energy from wind, solar, small hydro, tidal and biomass, the grid has become a sharing network. Power is put into the grid at any point in the network to be shared by consumers. Most renewable energy devices produce power when nature decides, when the wind blows, the sun shines or the tide flows. To supplement the grid when renewables are not meeting demand, the balance must be made up by power from fossil fuels, nuclear, biomass or hydro. Wind farms or tidal sites are often located nearer the remote house up the glen than near the original generating stations. The grid therefore requires to be upgraded to take the power generated, and this takes considerable investment and time. The Beauly-Denny connector is one such example. The whole grid therefore needs to be redesigned. The company that runs the grid, National Grid plc, has to ensure that there is sufficient electrical power to meet demand. If they fail, they have to shut down sections of the network to prevent other areas being affected. National Grid plc buys electricity from generators, be they gas fuelled plants, nuclear, wind turbines or other. They buy the cheapest energy that they can get. In the past, there were few companies using renewables selling to the grid, so nuclear, coal, oil, gas and established hydro dominated. Renewable generators have increased in number, due in part to “pump priming” through government subsidies (e.g. FITS, RHIs, etc). The £18 / tonne CO2 levy on greenhouse gas emissions by fossil fuel-using generators has further tipped the balance towards renewables. In addition, due to the economies of scale of mass production, the capital cost of wind turbines and photo voltaic (PV) solar panels has plummeted. This cost reduction coupled with the grid not having to pay for fuel, wind and sunshine being free, means that renewables are becoming the cheapest energy available to National Grid plc. Renewables are likely to be the power source of first choice for National Grid plc. With zero fuel costs, operators of renewable energy plants will sell their energy at just below their nearest competitor, on the basis that it is better to make some income from their generating equipment than none. 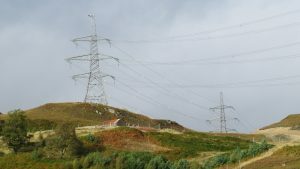 With improved long-range weather forecasts and the ability, using the grid, to move power around the country, the National Grid will try to make use of as much renewable energy as possible. However, as they have also to ensure overall demand is met, they will have “deals” with other generators to supply alternative power at short notice. National Grid plc has numerous deals with its generators. These include having contracts with gas generating companies that keep their plants on “spinning” standby, ready to come into action at short notice The grid uses companies owning pumped water storage to supply electric kettles with power at tea time and after football matches. They also have deals with large energy-using manufacturing companies, where the company agrees to shut down its production when the grid demand exceeds supply. This avoids National Grid UK having to switch off groups of domestic consumers. One of the deals that irritates opponents of wind turbines are those that recompense their owners when National Grid plc tells them to shut down their turbines in stormy weather. This prevents the turbine output exceeding the capacity of the grid transmission cables when the wind is blowing hard. If company X is required to shut down their turbines while company Y can keep generating, why should company X suffer loss of income, but not company Y? In time, as the grid is reinforced, the need to shut down wind turbines in strong winds will reduce. The overall loss of power in transmitting electricity throughout the UK grid is 7.2% (2013). The increased use of variable renewable energy means greater sharing of power across the grid and a corresponding increase in transmission losses. The alternatively is to use battery and pumped water storage systems to fill gaps in power generation. Most likely will be a mix of the two. This balancing act together with development of electricity “demand management”, will occupy grid engineers for years to come.